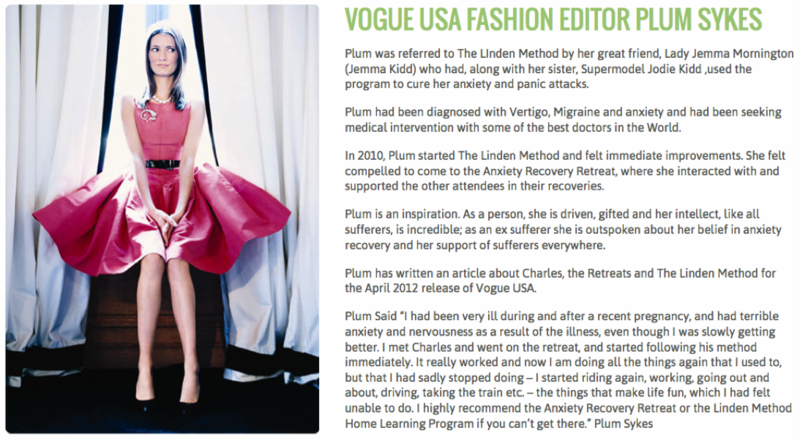 Does The Linden Method Really Remove Anxiety? 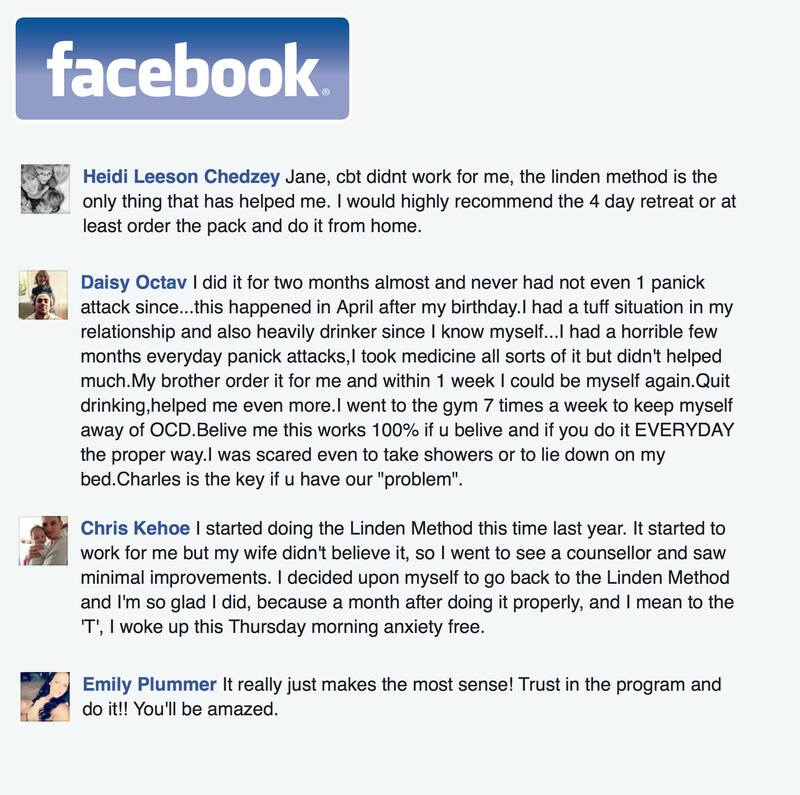 The Linden Method is a structured Program of Guided Self-Help for the treatment of high anxiety conditions including, Generalised Anxiety Disorder, Panic Disorder, Agoraphobia, Obsessive Compulsive Disorder, Post Traumatic Stress Disorder and Anxiety Disorder related Low Mood. Although The Linden Method was not developed to treat other disorders, patients with depressive disorder and CFS/ME have experienced significant improvements and indeed, full recovery whilst using The Linden Method. The Linden Method is psycho-educational, falls within the NHS stepped care model and conforms to NICE's CG113 for guided self-help. The Linden Method utlises a multi-faceted approach incorporating education and reassurance, life structure and seamless guidance support from qualified specialists. Incorporating all programme elements compliantly modifies the neurology responsible for activating and modifying the brain structures and processes responsible for the development and perpetuation of high anxiety states. In addition, the methods used prepare the mind to recognise and respond appropriately to fear provoking catalysts in future. This study specification was provided by the NHS (Shropshire) - We asked them to provide the structure and data gathering process. 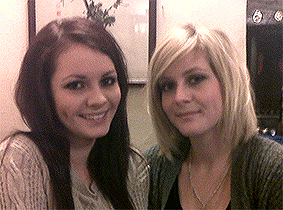 We carried out the trial to their specification. The present study was conducted among clients treated with the Linden Method. 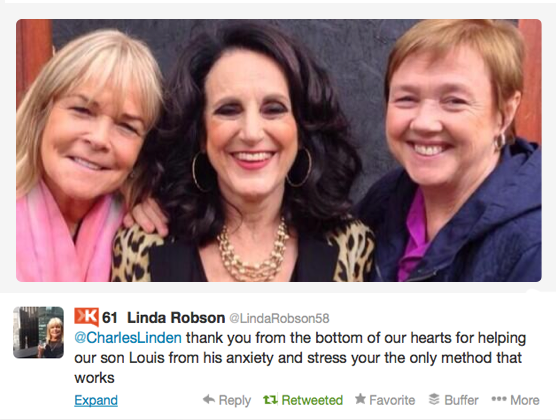 Participants were initially contacted by The Linden Method specialists, who are British Association of Chartered Psychotherapists and British Psychological Society registered counselling psychotherapists and asked to participate in the study to assess the efficacy of the method in reducing or eliminating anxiety disorders. These participants were selected based on the knowledge that they had complied with the method’s directives, rules and principles. Just as any other study involving a demonstrable effect of an intervention, it is important that people adhere to the treatment regimen. Of the 100 invitations to participate, 61 agreed to participate in the study. 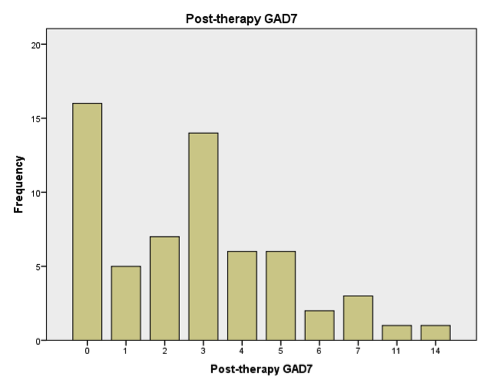 To assess the levels of anxiety in participants, the Generalized Anxiety Disorder 7 (GAD-7) was implemented (Spitzer et al. 2006). 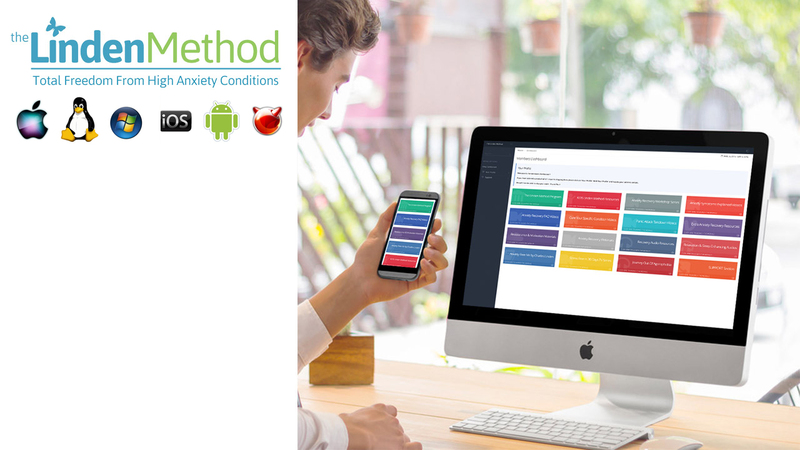 GAD-7 is a self-report measure used for screening and measuring the severity of generalised anxiety. The measure has seven items, which measure the severity of various signs of generalized anxiety disorder. One such item example is: “Prior to doing the Linden Method, how often have you been bothered by the following problems?” Feeling nervous, anxious or on edge? Participants were asked to respond with the following (not at all = 0, infrequent = 1, frequently = 2, constantly = 3). Assessment is indicated by the total score, which is made up by adding together the scores for the seven items of the scale. According to the GAD-7, there are four categories or anxiety levels, ranging from minimal anxiety (score 0 - 4), mild anxiety (5 - 9), moderate anxiety (10 - 14) and severe anxiety (15 - 21). As the data in the analysis are ordinal, and thus non-parametric, the test is ideal when comparing two related samples, to assess whether their population mean ranks differ. It is comparable to a Student’s t-test, but used when the population cannot be assumed to be normally distributed. The mean pre- and post-treatment scores for participants in the study were 18.28 and 2.84 respectively. This indicates that a large percentage of participants had severe anxiety problems before entering the treatment programme. In contrast, post-treatment results indicate, that for the majority of participants, anxiety no longer presented as a major issue in their day-to-day life. As indicated above, the data were collected retrospectively. It could be speculated, if this might have influenced the accuracy with which participants judged their symptoms pre-treatment. Â Another limitation of the study is the method of inclusion of participants. One possible criticism of the recruitment approach could be, that participants were not selected randomly to take part. However, in this particular instance, it could be suggested, that the criteria of randomness is difficult to adhere to. The success of The Linden Method in treating anxiety disorders rests on a fundamental principle of compliance with its structure, rules and processes. As such, non-compliant participants would only serve to compromise the results. Spitzer R.L., Kroenke K., Williams J.B. and LÃ¶we, B. (2006). 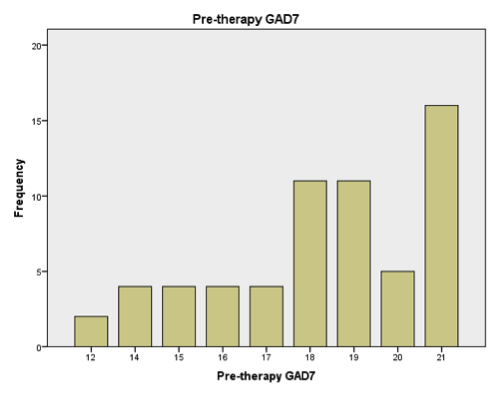 A brief measure for assessing generalized anxiety disorder: the GAD-7. Archives of Internal Medicine, 22 (10), pp. 1092-1097. *The GAD-7 score is an internationally recognized scale for determining the severity of an anxiety disorder. It ranges from 1 to 21. A score of below 5 is 'normal', a score of 5 or above represents presence of an anxiety disorder. This should be available to everyone. It's benefits are massive and it is reassuring. Understanding my condition and it's manifestations were made clear to me via the Linden Method. I cannot recommend highly enough the relief and support I have received. Every sufferer should receive this. This would save the health service millions in drug costs, GP visits counselling and other related costs - for example paying benefits to people unable to work due to anxiety related conditions . 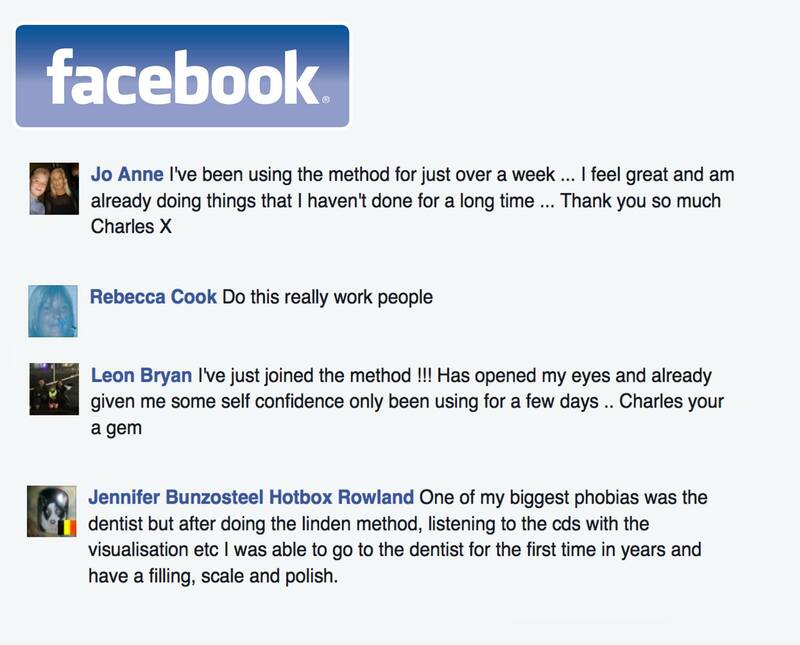 More importantly this method gives people their lives back - anxiety is the most unpleasant and debilitating experience I have ever experienced. This method works if you are prepared to follow it - believe me I tried many different things and none worked until I used this method The Linden Method is one of the best things that has happened to me in my life. I finally have my life back. If you are on the fence about it or doubting that it will work, just think of how many things you have tried that didn't work. I promise you it will work. Just listen and do the program and you will be on your way to recovery. It is such a wonderful feeling. For insurance and government services I would rather do this then to be on any medications any day of my life. I would think you would want the same. God Bless Charles and his team. I have no doubt in my mind that this would be a viable and effective treatment to offer on the NHS and have no qualms about recommending it. You can ask my family & friends, but it should be enough to ask me, I am completely transformed! I have an amazing GP, and was given CBT counselling through the NHS, (I also paid for it privately!) and although this helped me 'manage' my anxiety& OCD it did not lesson it. The Linden Method seriously has 'cured' me. I worry a normal amount about 'normal & real things' (in fact I would say I probably worry a little less than those around me- which is just amazing!)!! 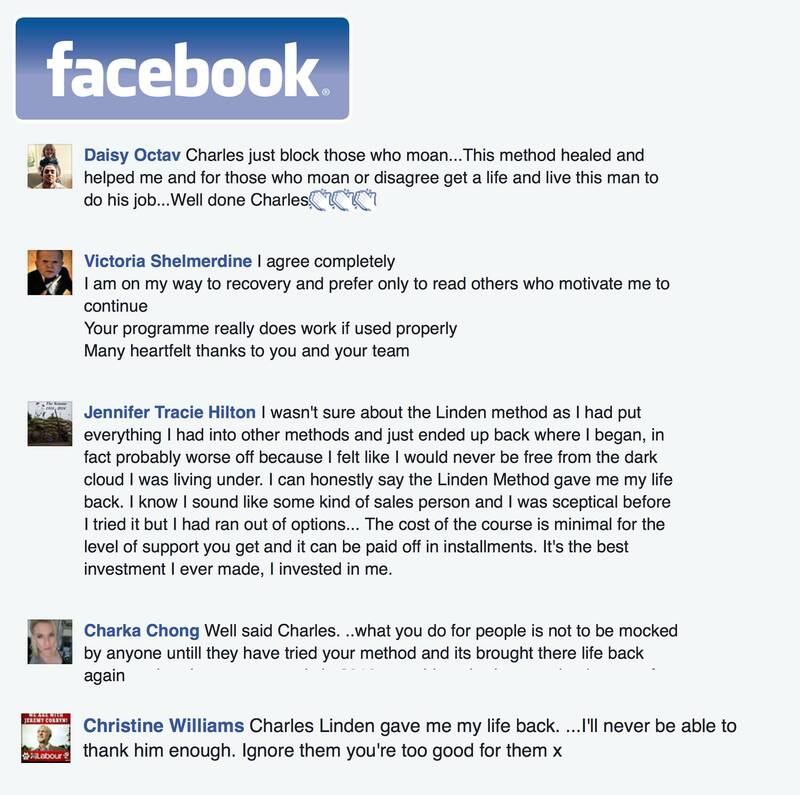 I will say however that I don't believe that Linden will work unless the client/patient does it 100%! But then neither do anti-biotics! 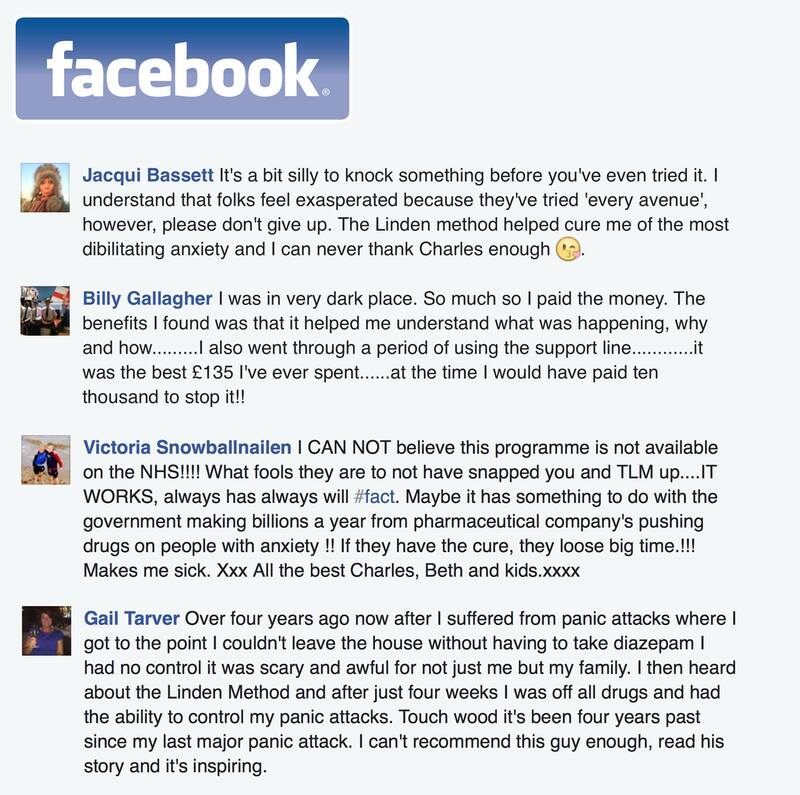 I truly hope The Linden Method becomes available on the NHS- I work, and pay taxes, and would be very happy to think that my taxes go towards a way to c ure people from this debilitating and misunderstood disorder. The only thing that scares me these days is the fact that there are people out there going through what I went through that are not aware that this method exists/works. No one should have to live with anxiety. This could save the thousands of lives beingwasted. Once you master it (and know one said it will be easy) it will become like a walk in the park! Honestly - everything makes so much sense, just read, read and read away. Why would you want to become dependant on medication which only puts a hold on your troubles, when you can cure yourself with out medication! 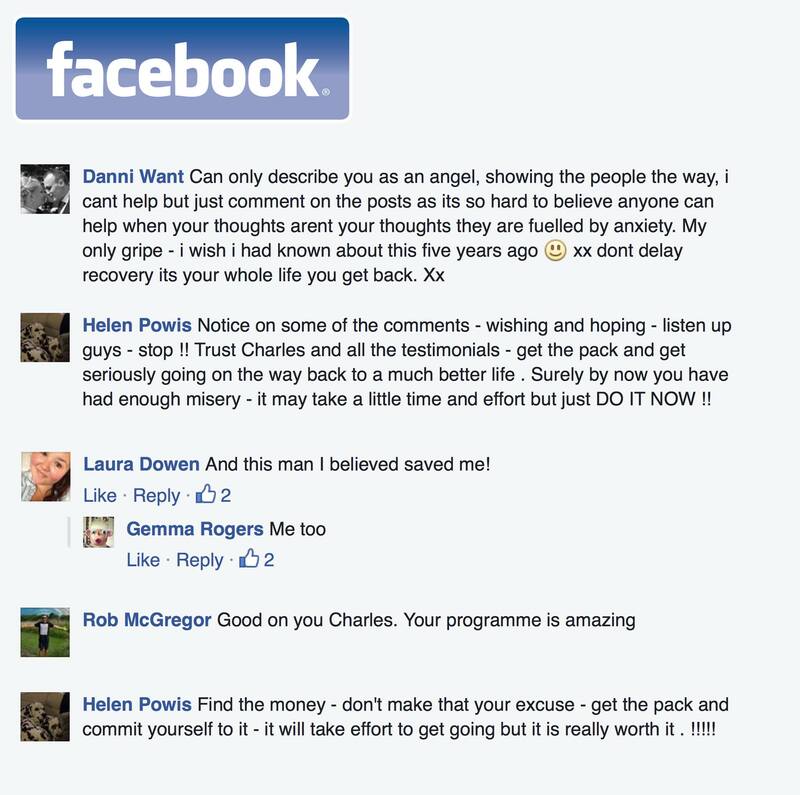 I would firstly like to say a very big thank you to Charles and Beth. I must admit I have not done all of the pillars as I was meant to, but I can say this, I now have a huge understanding over anxiety and know what to do when feeling anxious, before I was lost and did not have a clue what was happening, this was for 14 years, indeed 14 years of feeling terrified. The Dr sent me to see a Psychiatrist and he sent me for different sessions of CBT and Psychotherapy, none of which worked, in fact a total waste of time and made me worse. I have been on doses of up to 50mg per day of Diazepam, 60mg Citalopram and 1mg Klonopin (Most addictive benzo)....I am sure the drugs made me worse after many years and now have a lot of memory loss and weight gain, but thanks to the method I am almost off all my medication and can now go out for drives, walk my dogs, go shopping all the things I could not do as I was housebound for many many years. I am slowly getting my friends back as I deserted all of them and starting to live again. 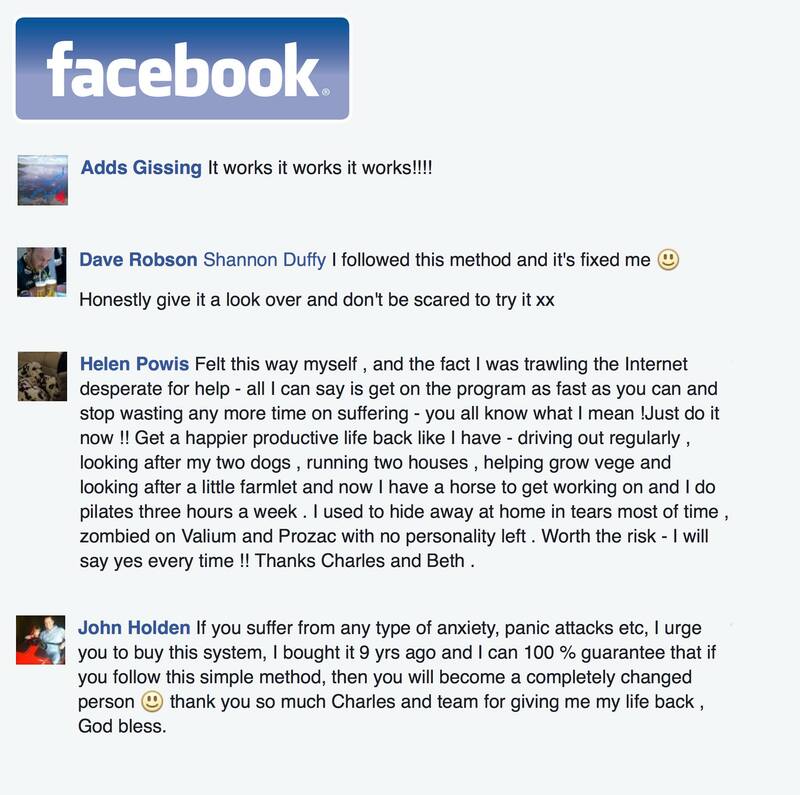 I would not recommend anything for anxiety apart from the Linden Method, all these other therapies do not work, fact! Kind regards, Paul B*****. It is the best money you'll ever spend, if it is the money that is putting you off. It saved my life and I am now studying Holistic Therapy and Stress Management. My anxiety started 3 and a half years ago when I was 21, after having been involved in a bad car accident. 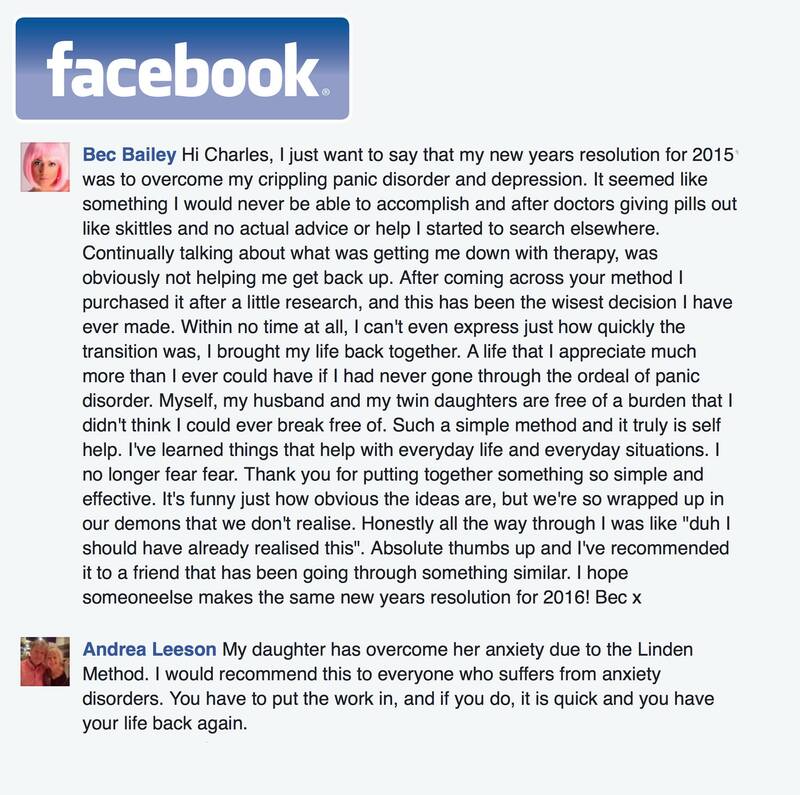 Luckily I found the Linden Method having only had anxiety for 1 year. But it was 1 year too long! Although looking at it now, it is the best journey I've ever been through! I feel amazing now! I arrived at the residential programme feeling extremely negative and was convinced that it would not work. CBT and medication had both failed. Four days later and I left feeling more positive than I have felt in 30 years. 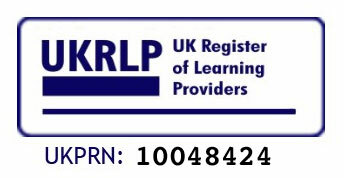 I can honestly say that since completing the residential programme I can now look forward to each daywithout the stomach churning and awful feeling of impending doom.I would recommend The Linden Method wholeheartedly and would be happy to provide further information should it be required. 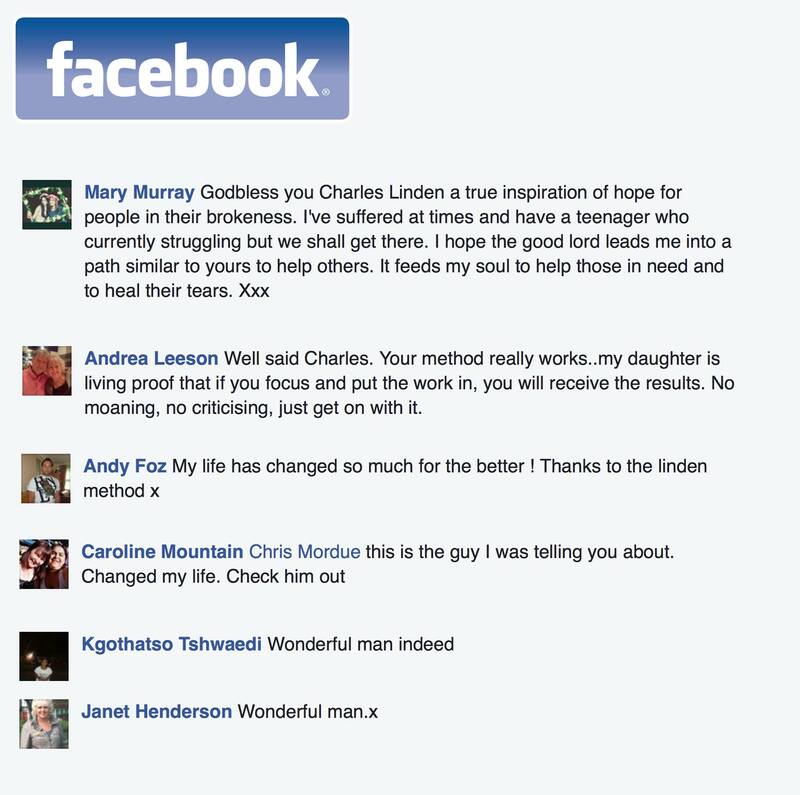 The Linden Method gave me hope, motivation to get well, an understanding of myself and literally saved my life. I can't praise Charles, Beth and his team enough. 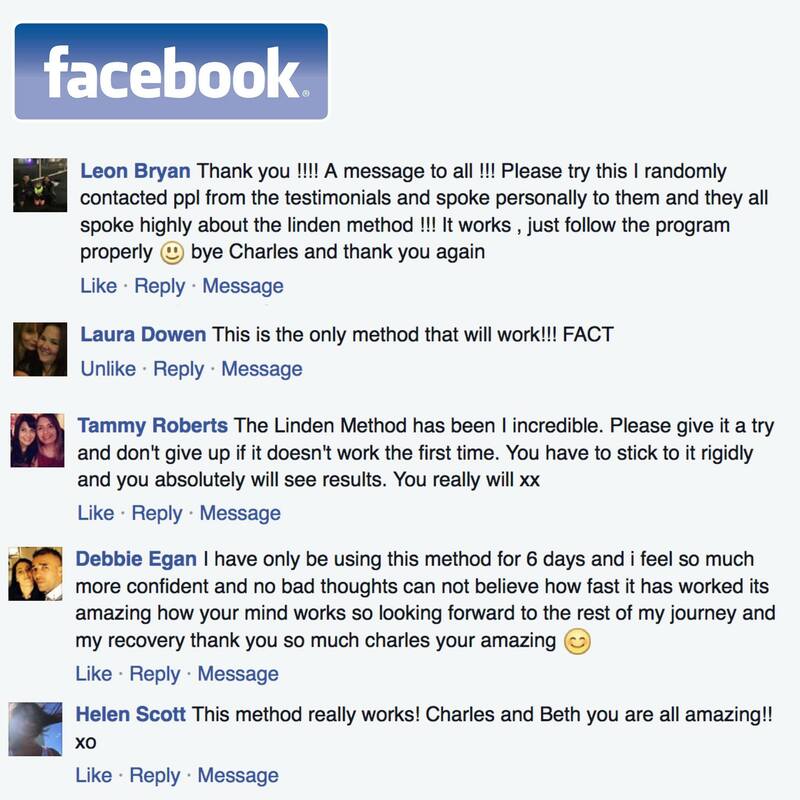 I never visited any GP's or anything, I was always to embarassed to reveal my feelings and thoughts, I just internet searched and Thankfully Gave the linden Method a shot and It worked or works! really well for me, I implement it in my behaviour daily, and have a wonderful knowledge of the Behaviour related to anxiety conditions now thanks too charles. I also use what I have learnt to help all my young children through stressful periods or change! If I had of had the Linden Method available to me 15 years ago it would have saved 15 years of quite frankly misery! 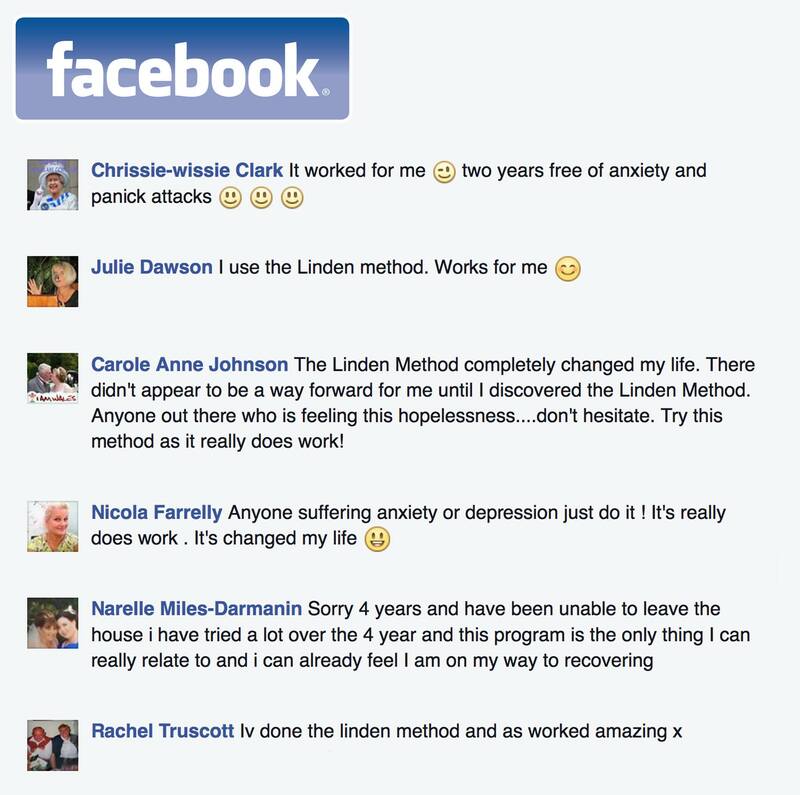 I tried every treatment out there on the NHS and every other weird and wonderful therapies but nothing worked until I found the Linden Method. I even lost my colon and developed alopecia because of the stress. 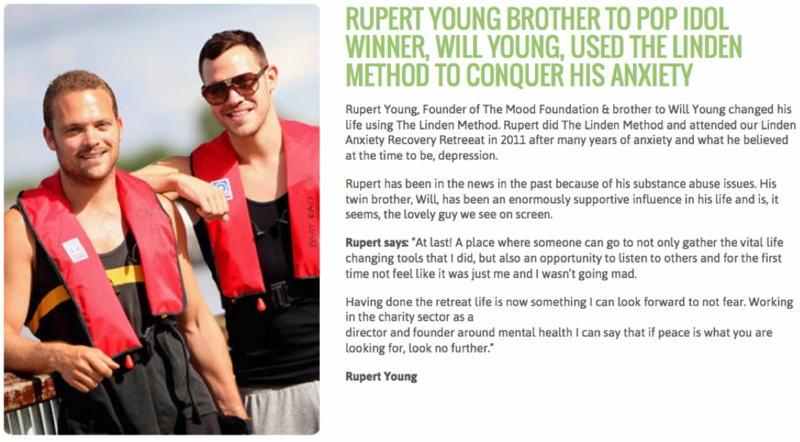 The method is the only program that is curative as it forces the curative process to happen, rather than handing out pointless coping strategies and medication that don't work. Couldn't rate this program any higher. Complete life saver. Must be able to access this on the NHS and save so many peoples needless suffering. 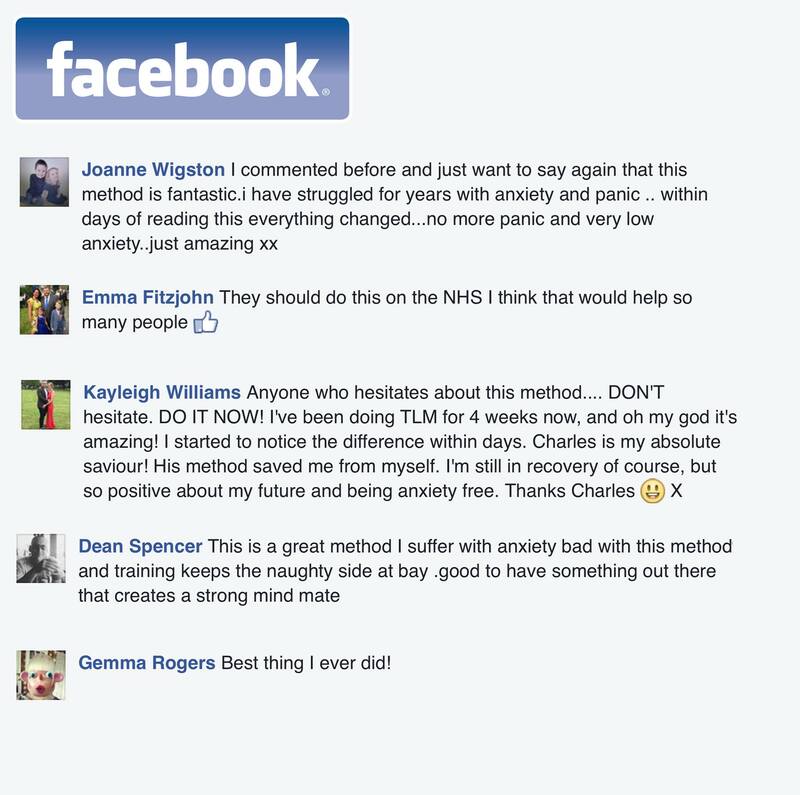 Having suffered from anxiety since the age of 15, having been to see my GP on too numerous occasions to count, having had every blood test under the sun, having been prescribed propranolol, having been to see a CBT counsellor of my own accord the only treatment that actually cured my anxiety was The Linden Method. I attended the residential course suffering from daily if not hourly panic attacks and can hand on heart state I have not had one panic attack since completion of course 4 years ago. This method is simple, drug free, highly effective and in my opinion should definitely be an option for NHS patients. I have to thank god and Charles about this method, before i was not able to walk out of my house i had that horrible sensation that i could not breath and i will die i took me almost 4 weeks to understand how every thing works!! It was hard but i did it! 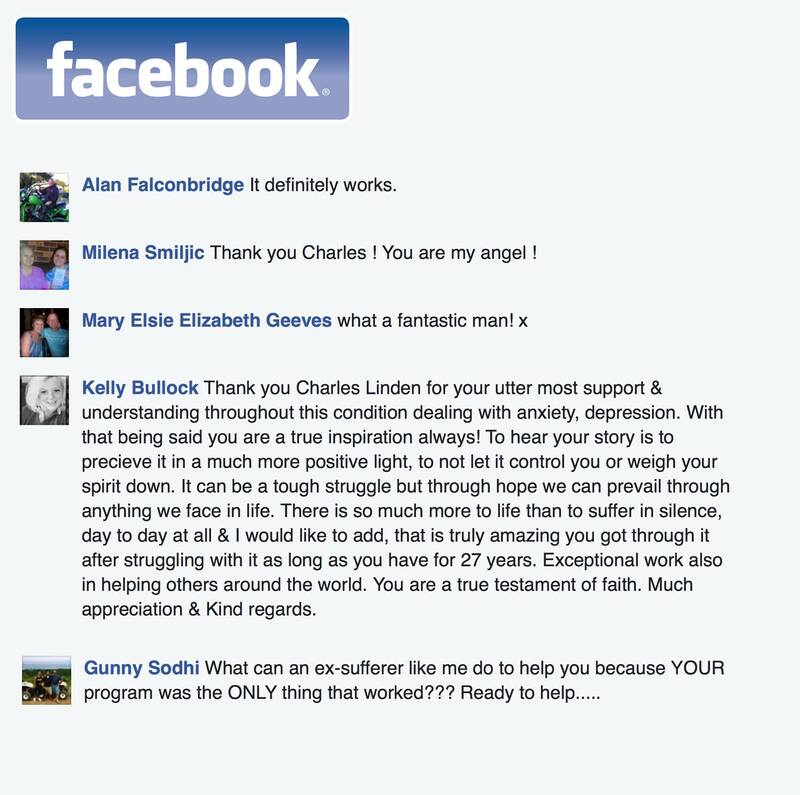 Thank you charles now i am 100% cured!! The mind is the most powerful thing in earth!!! I just followed the program and within a month or so I was no longer having the anxiety. Thank you for your program. I was really scared and when you said it was not a mental illness that did more to calm me than anything. My mother was in a mental institution all my life and I was always afraid I would be like her. When the anxiety came, I attached more danger than normal and I created my anxiety to worsen. I did the Linden Method and I no longer fear that I will be like my mother. The staff at the linden method have bee. My guardian angels! They have helped me so much, with their ongoing support, calming effects, they really helped put me on the right path, they simply have been amazing! And I thank them all from the bottom of my heart! They explain whats going on with you, which helps you to understand, and with understanding there is less anxiety. I would highly recommend to anyone with anxiety issues. This is the ONLY method that worked for me - I tried CBT, counselling, mindfulness, hypnosis, acupuncture, homeopathic medicines and nothing helped me/my symptoms of anxiety. 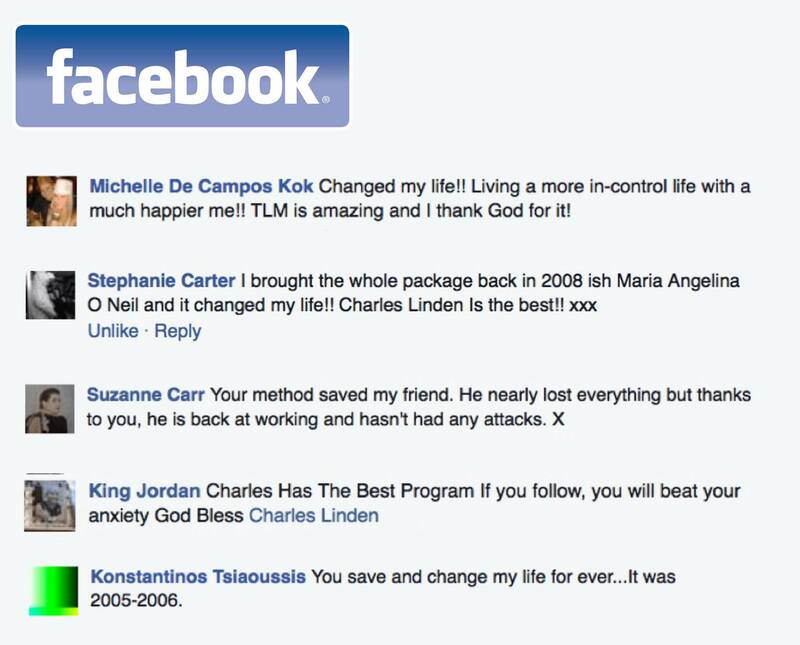 I would recommend TLM to anyone suffering with anxiety.